A range of competitive and social events is available to all members. A variety of competitionon formats are available including singles, doubles, singles/doubles, mixed etc. We also run social round robin tournaments for the enjoyment of all members. There are also annual Club Championships for seniors, juniors, men and women. After paying a deposit, members are provided with a gate key to enable court access. Our members can use the courts for a hit-up or a social game whenever they are not being used for organised competitions or coaching. A free court can usually be found except for Saturday mornings when junior competitions occupy all courts. Our courts are made of the red porous material known to some as En Tout Cas. 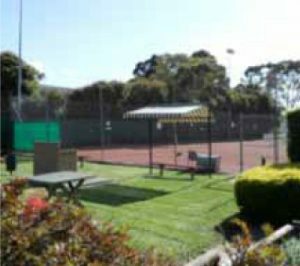 As a result of good maintenance over the years, our courts are very well regarded and considered amongst the best in the eastern suburbs.